One-third of children in developing countries are forced to miss school in order to work, including most kids in Afghanistan, according to a new survey. Thirty-two percent also said their schools were not always safe. The 'Small Voices, Big Dreams' survey, conducted by the ChildFund Alliance, interviewed 6,226 children between the ages of 10 and 12 who live in 41 countries – 31 of which are developing nations across Asia, Africa, and the Americas. Of the students surveyed, 3,658 were from developing nations. While 98 percent of those surveyed said that education is important, the research identified several hurdles that stand between children and their access to safe, quality education. When asked whether they have missed school to go to work, 31 percent of children in developing countries said they had done so – compared to just 8 percent of children in developed nations. 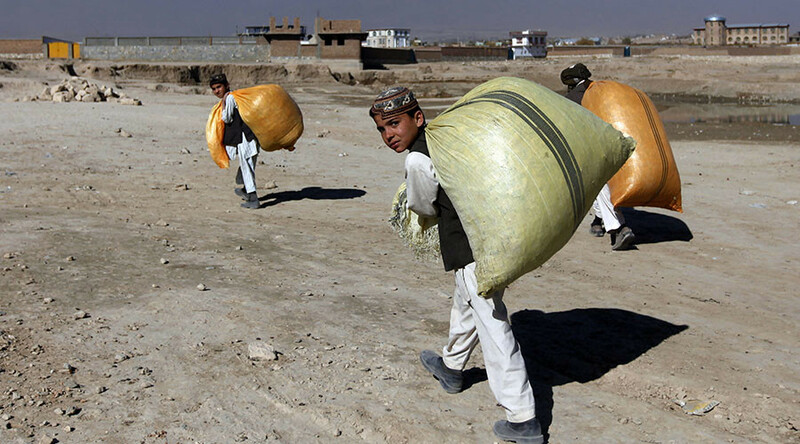 Children in Afghanistan were most likely to miss school for work, with 91 percent saying they had done so. Those numbers were also high in Timor-Leste (84 percent) and Ghana (57 percent). “I've missed school to help my family with things like harvesting coffee,” 12-year-old Savier from Timor-Leste told the researchers. Participants were also asked about how safe they felt in their schools, with 32 percent of students in developing nations saying their school is only safe “sometimes.” Three percent said their school is “never” safe, with students in Burkina Faso (20 percent) and Senegal (14 percent) most likely to say so. “This statistic is worrying, as safety is a prerequisite for learning,” Meg Gardinier, secretary-general of the ChildFund Alliance, wrote in the report. When asked what makes a safe school, one-third of the total children surveyed said that students must be safe from physical or emotional abuse. Seventeen percent said it means clean, safe school buildings that are in good repair. Another 14 percent cited trustworthy teachers they could respect. “Being safe in school means that nothing bad is going to happen while we are there,” said 10-year-old student Angel, from Paraguay. In conclusion, Anne Lynam Goddard, president of ChildFund International – part of the ChildFund Alliance – said in a statement that it is “up to adults to enact solutions” to the concerns and worries of the children surveyed. The research, released Monday, was conducted by ChildFund Alliance member organizations in May 2016. Participants in developing countries were from program communities where ChildFund member organizations have sustainable development programs, while children in developed countries were selected at random.